In the blink of an eye, a bad decision to drive after consuming alcohol can turn into a life-changing accident. Some victims of DUI accidents may never recover from sustained injuries. 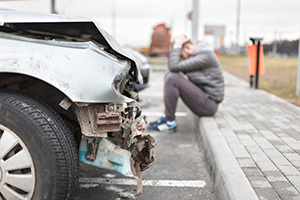 While DUI accidents are criminal in nature, many accident victims also turn to civil lawsuits to secure rightful compensation for physical and emotional recovery so they can get back to their lives. If you or someone you know has been injured in a DUI-related accident, talk to a DUI attorney to clarify your legal options. The Law Office of Dennis W. Potts has over 40 years of trial experience in Honolulu, Hawai’i. That means Attorney Potts understands what accident victims are eligible to receive, and he can give you counsel for pursuing legal action against the intoxicated driver that caused your injuries. Additionally, Hawai’i allows victims of accidents to seek punitive damages – extra compensation assessed to the defendant as a means of punishment. For those seriously injured, filing a lawsuit against the drunk driver may be the only way to cover the costs associated with the accident. Law enforcement in Hawai’i takes DUI seriously. If investigators determine alcohol played a role in an accident, you can rest assured the state will do its part to charge the offender under the fullest extent of the law. Punishments may include incarceration, rehabilitation programs, community service, fines, and more. However, criminal proceedings do nothing to compensate victims of an accident for their injuries, pain, and suffering. In many cases, the only way victims obtain the finances to cover repairs, medical bills, and pain and suffering is by consulting an attorney and filing a civil lawsuit. Some states, including Hawai’i, recognize the validity of dram shop laws. After a DUI-related accident, you may be able to hold both the driver and any alcohol-serving establishment liable for the accident. If a bar, hotel, or restaurant served the intoxicated defendant alcohol, the Law Office of Dennis W. Potts will work hard to investigate all the evidence contributing to the accident. In some cases, you may be able to take legal action against the serving establishment. Do not wait to seek legal counsel if you or a loved one has been injured in a DUI accident. The Statute of Limitations for personal injury lawsuits in Hawai’i is 2 years from the time of the accident or discovery of injury. The earlier you contact Attorney Dennis W. Potts, the faster he can work to obtain the evidence needed to secure the best outcome for compensation. The Law Office of Dennis W. Potts always offers free case evaluations. If he does not recover damages for you, you will not have to pay a dime, so reach out today at (808) 537-4575 for more information.